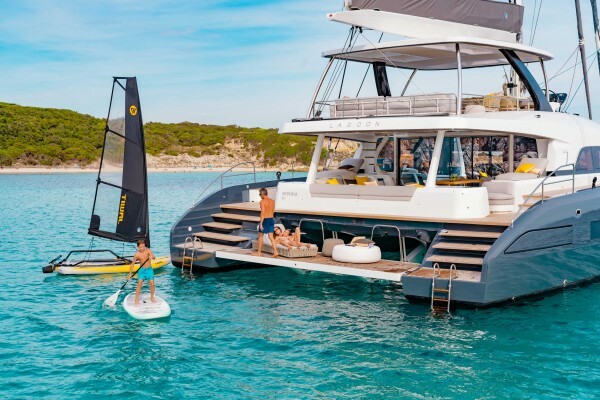 Whether you like a traditional monohull or believe that things come better in twos, it’s hard to ignore the relentless rise in the popularity of Multihull sailing yachts and power boats. 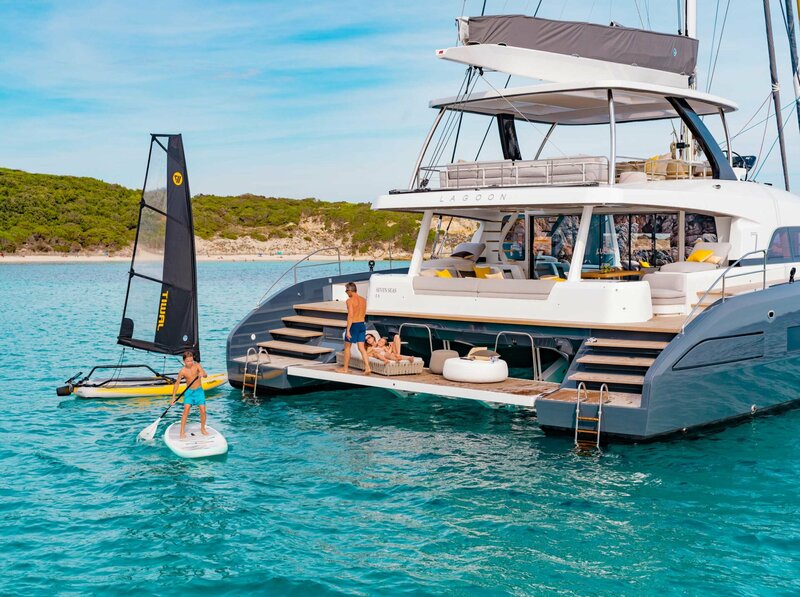 Multihulls are steadily gaining market share across the globe and manufacturers are working hard to meet the increased demand. 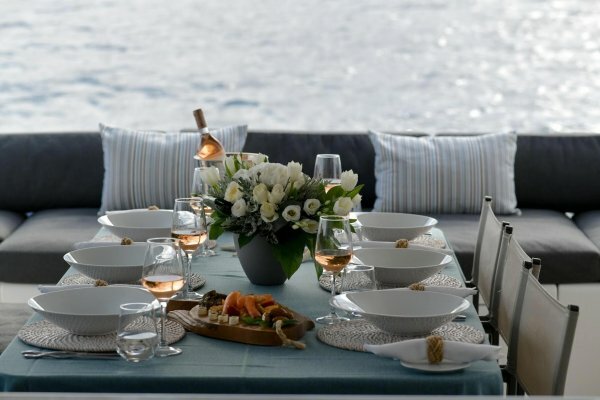 Groupe Beneteau has a target to double multihull production capacity by 2020 (from 2016) and is on track to meet this goal with 50% already complete. 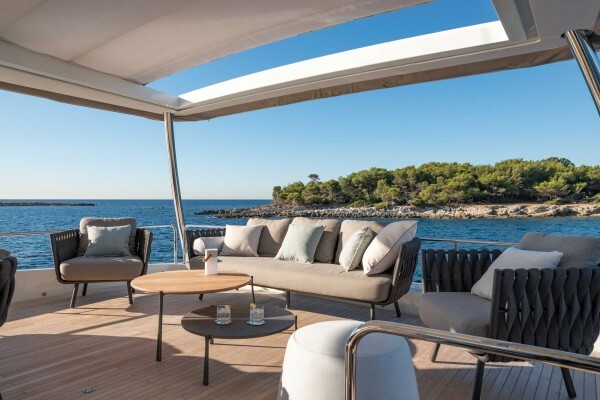 Here at Ancasta we’ve seen our multihull business grow in proportion over the same period and we don’t see this trend slowing anytime soon. 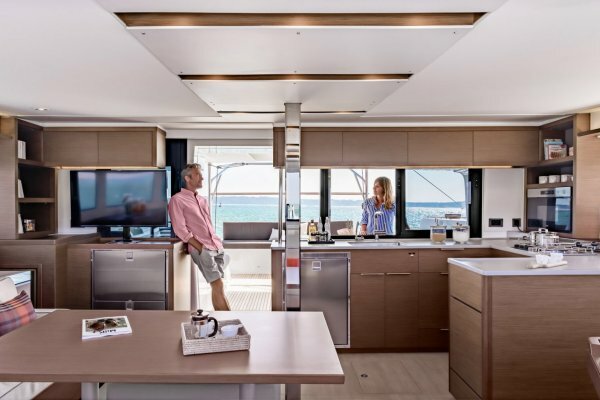 Why have Multihulls become so popular? 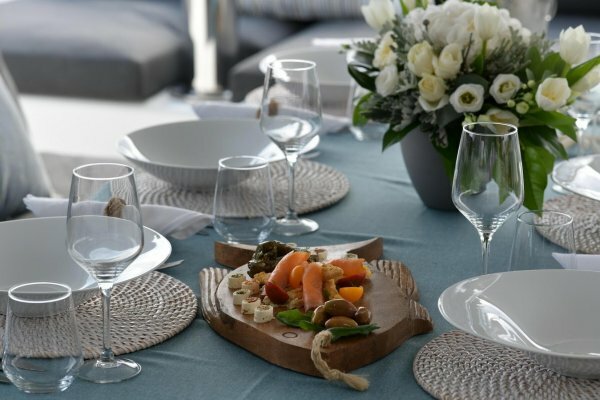 Inevitably, there are many factors that have contributed to this trend. 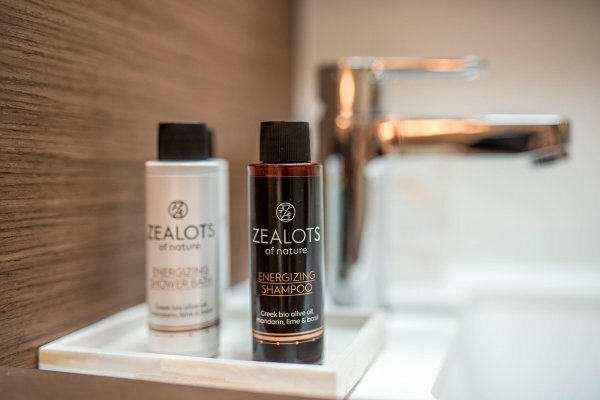 Firstly, many customers are looking for more fulfilling and luxurious lifestyle experiences and so the importance of comfy and spacious areas in which to relax has become more significant. 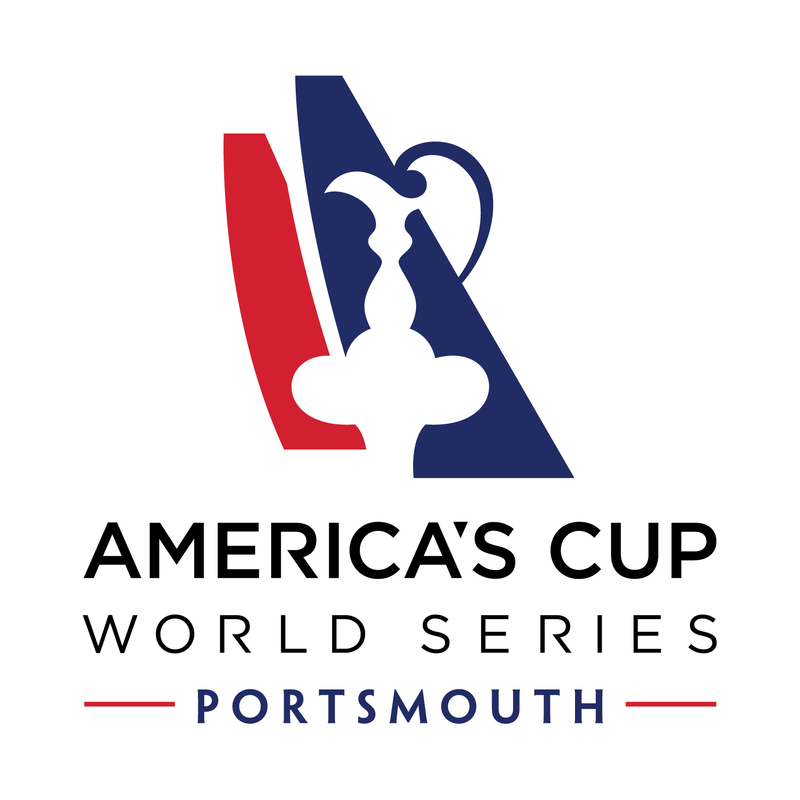 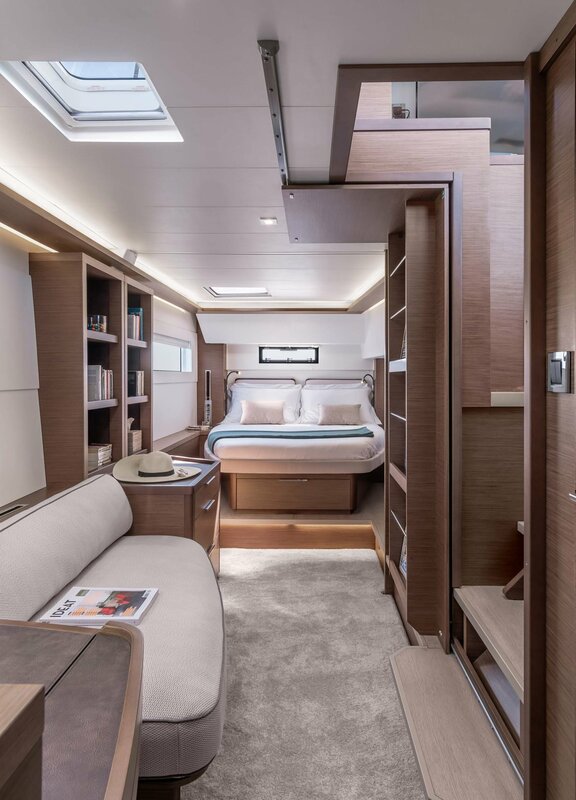 We have also seen the emergence of high performance catamarans appearing in prestigious international sailing events, including the America’s Cup, which, no doubt, will be adding to the enhanced kudos of the multihull market. 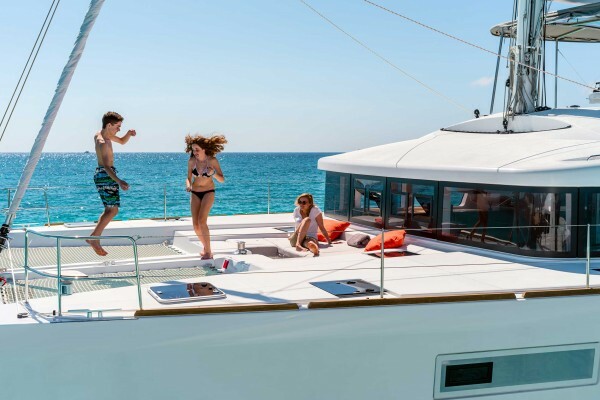 Finally, advances in technology and more economic manufacturing has lead the way to multihulls that offer a truly remarkable vessel for owners and charter guests, at fantastic prices. 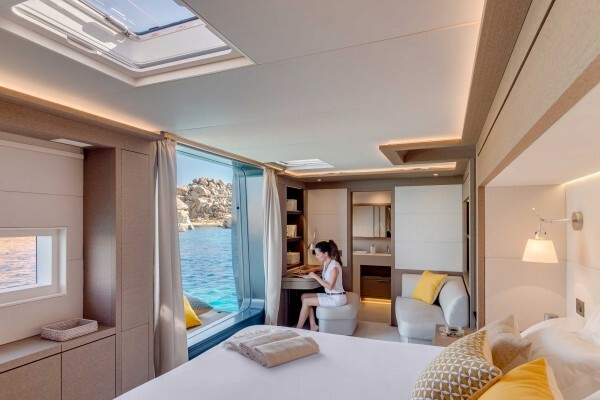 What are the practical highlights of a multihull yacht? 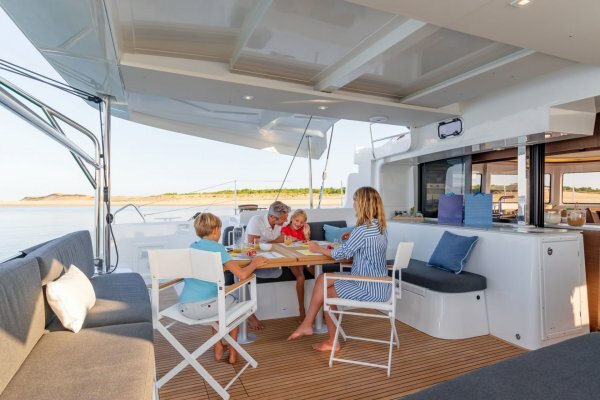 The most obvious benefit of a Multihull is the wide platform that provides you with plenty of space both above and below deck. 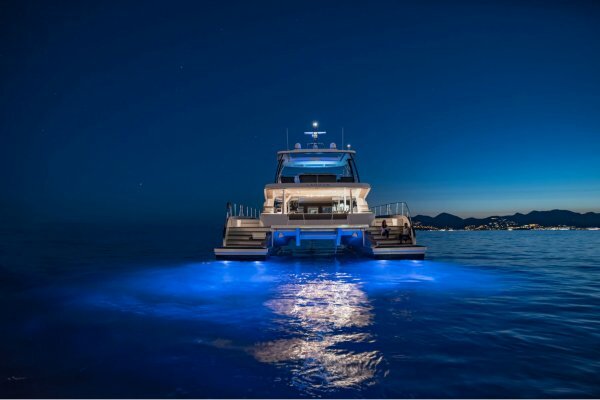 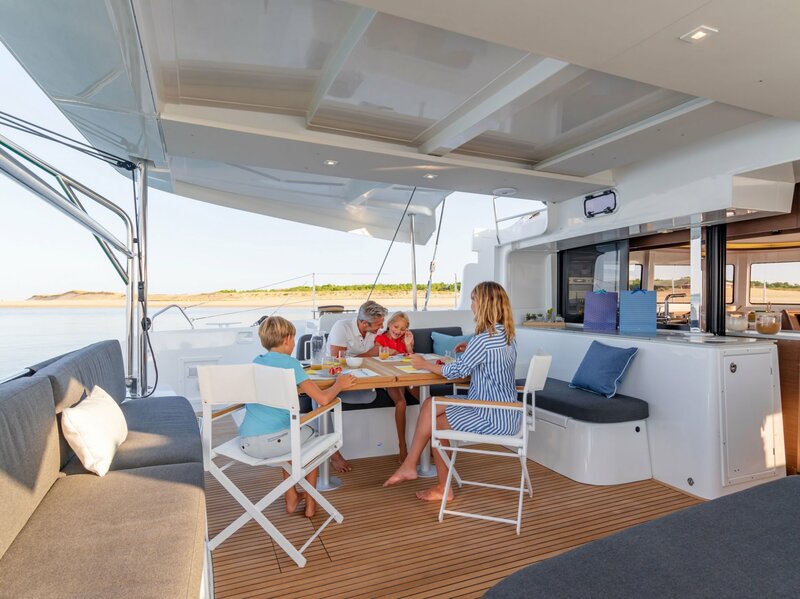 Whether you want to entertain friends with an onboard dinner party or simply relax with the family in the Mediterranean, multihulls often provide roomy saloon and cockpit areas that can comfortably accommodate a multitude of social activities. 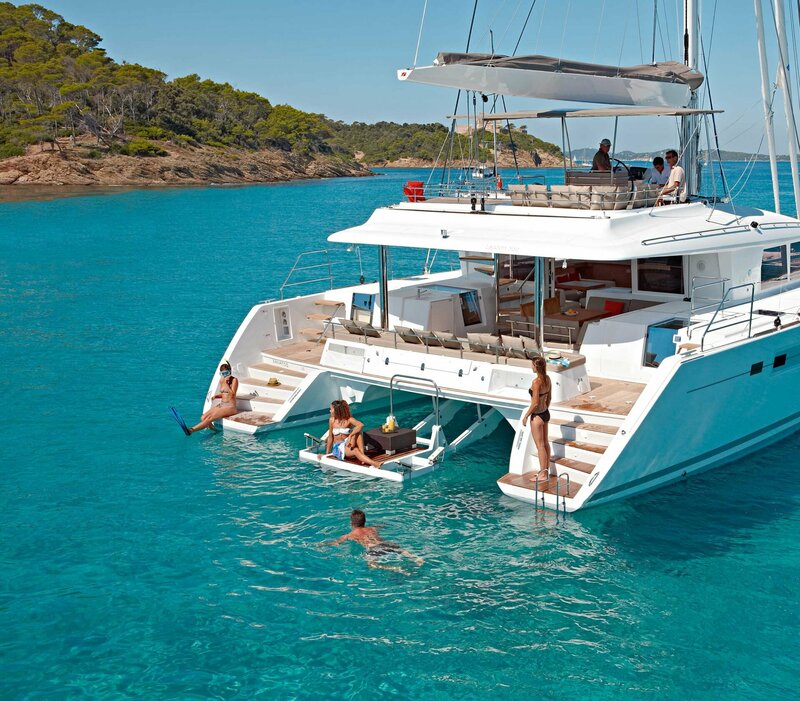 Cruising multihulls have naturally good stability generated by their wide beam and excellent buoyancy. 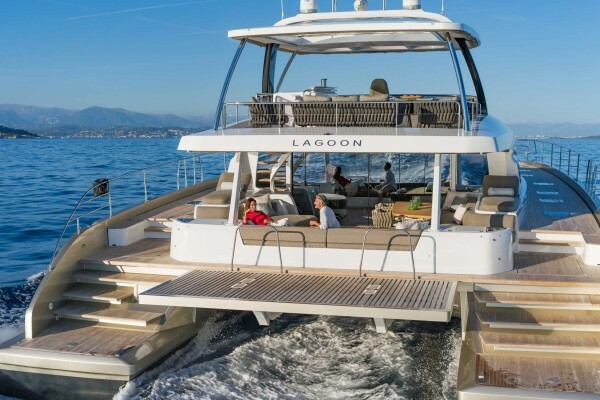 With typically less heel than a monohull they provide a level platform, even when under sail, making it easier and safer to move around the boat when on the move. 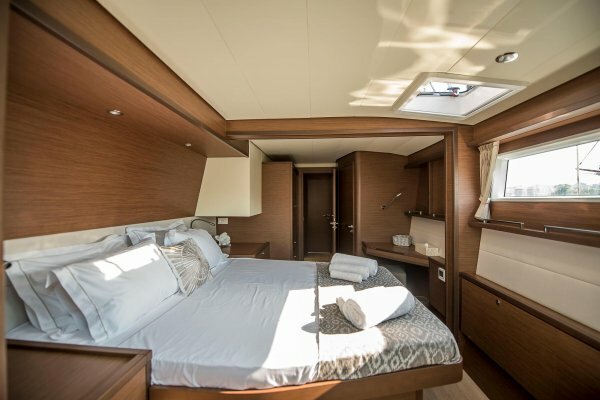 This stability also makes cruising multihulls comfortable when at anchor, even in a swell. 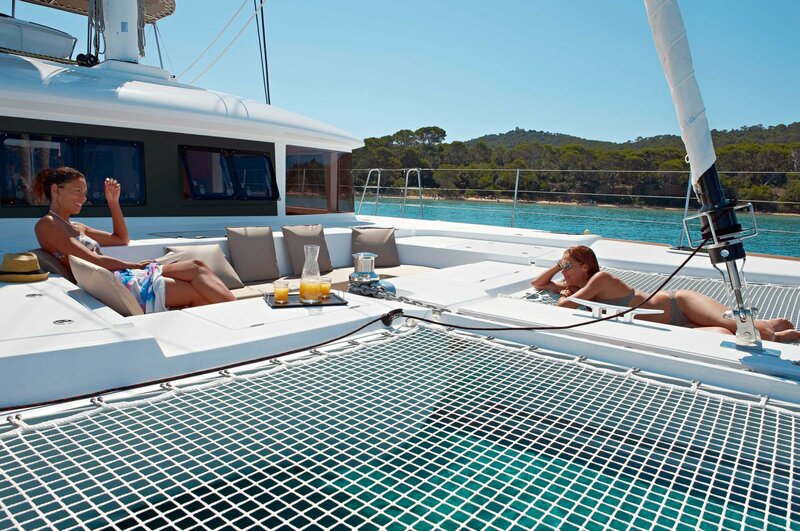 Enjoy unlimited access to remote beaches and idyllic coves thanks to the shallow draft of your multihull. The excellent stability does away with a monohull’s need for a deep keel, allowing you to explore shallower waters with less worry about depth. 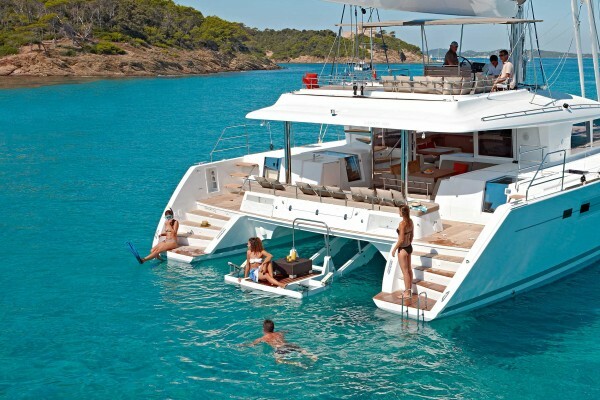 With two hulls comes two engines which makes multihulls simple to manoeuvre in tight spaces. This setup also provides you with a backup should one of the engines fail! 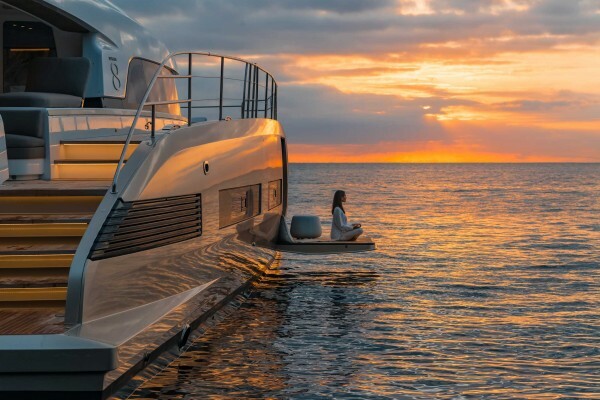 Multihulls can also keep a straight track relatively easily and the lack of heel reduces weather helm significantly in calm conditions. 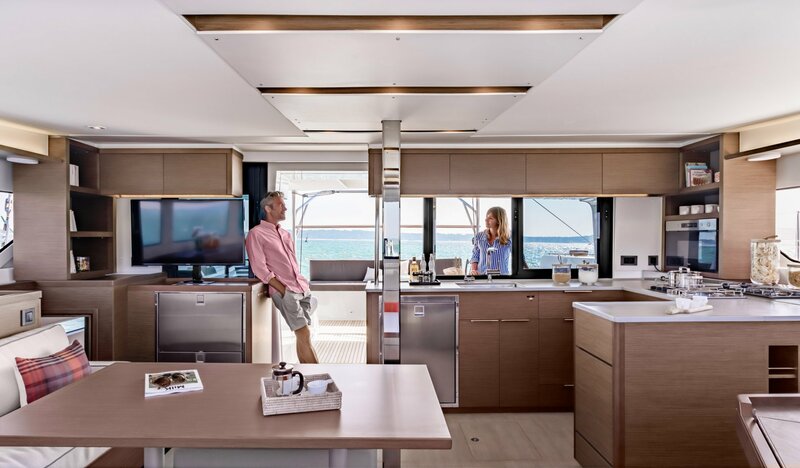 Hop from place to place in super quick time with a multihull. 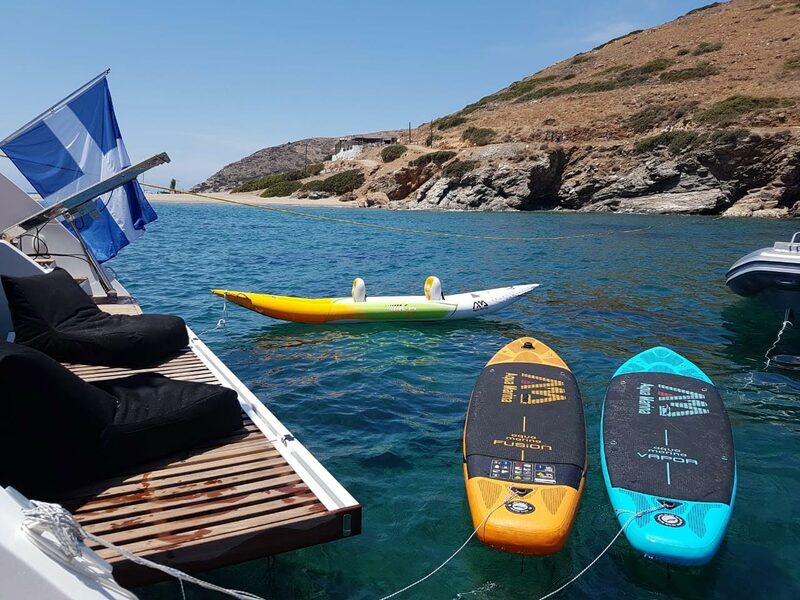 Typically faster than a monohull of the same length, catamarans can allow you to explore more places in less time or spend more time relaxing at anchor in a beautiful bay. 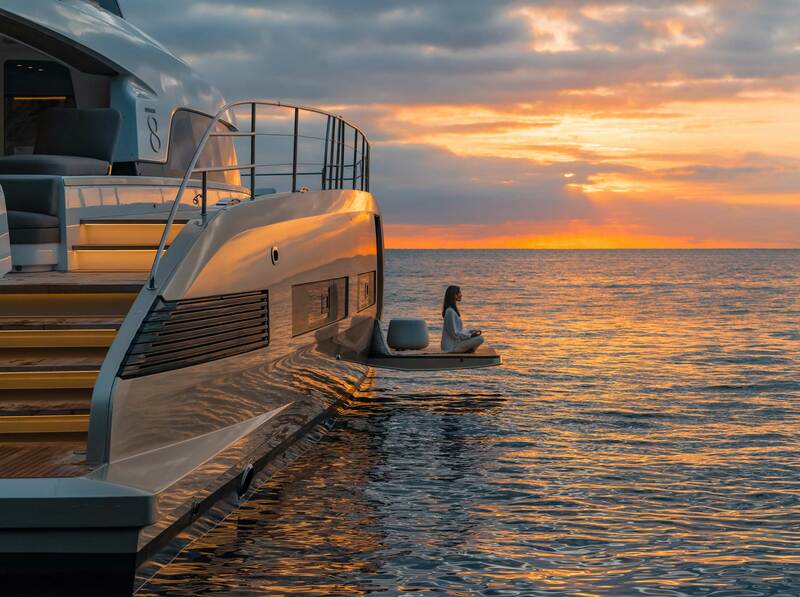 Multihulls have a natural affinity with chartering clientele. 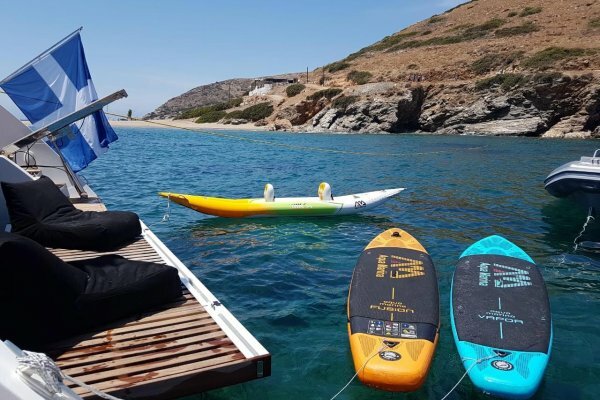 Not only are they stable and very safe, even for inexperienced skippers, they provide lots if space for friends and families to enjoy time together and can easily house plenty of watersport toys to keep everyone entertained throughout their holiday. 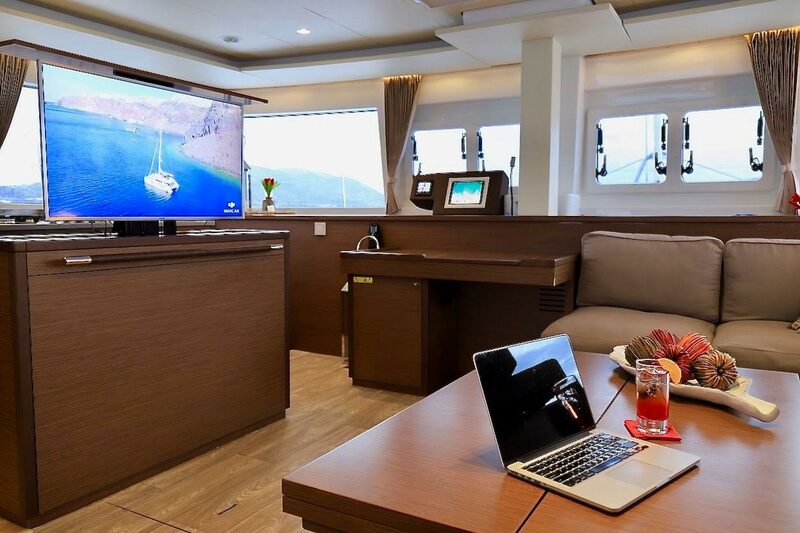 By having plenty of space to store equipment and provisions, as well as live comfortably onboard, catamarans are an obvious choice for long-term, liveaboard adventurers. 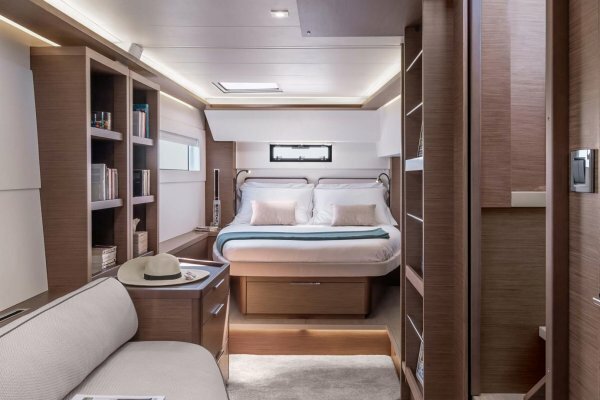 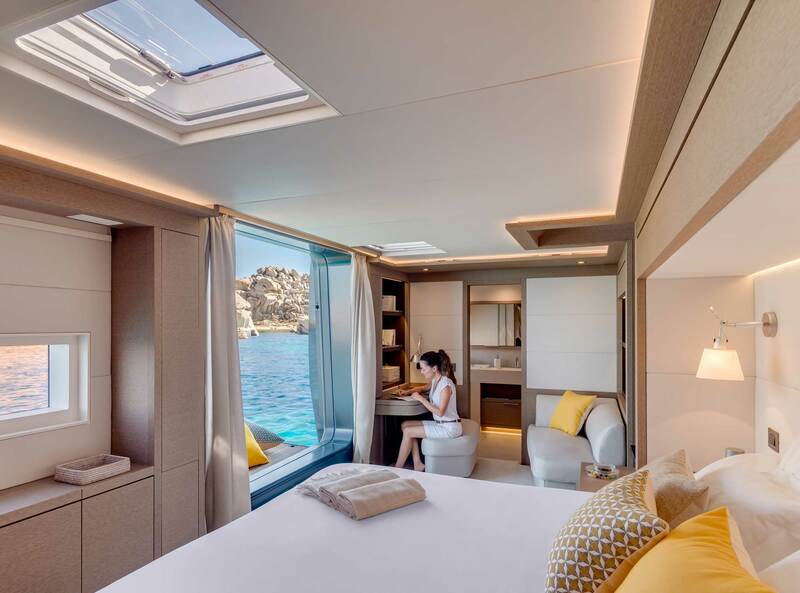 When living onboard a yacht for several months or even years at a time, it makes sense to replicate the comforts of home as far as practically possible; something that is easily achievable in the vast spaces that cruising multihulls provide. 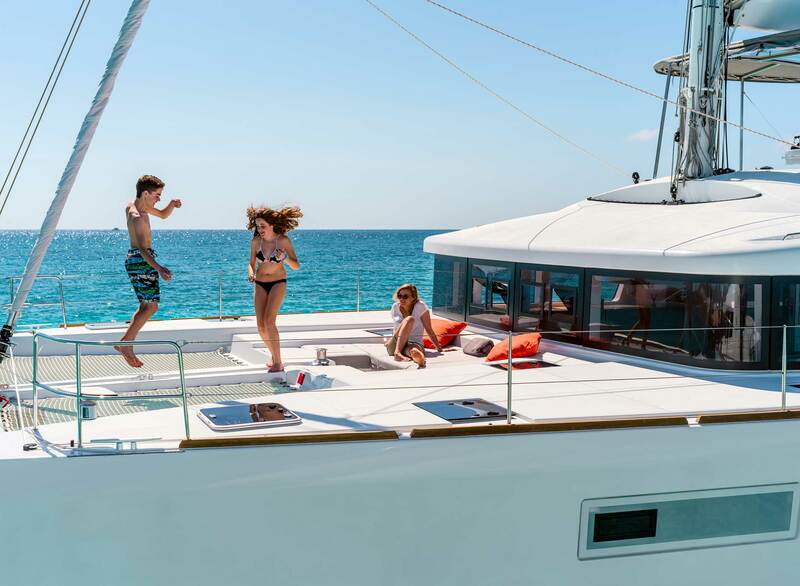 Here at Ancasta we offer a variety of multihull purchase options. 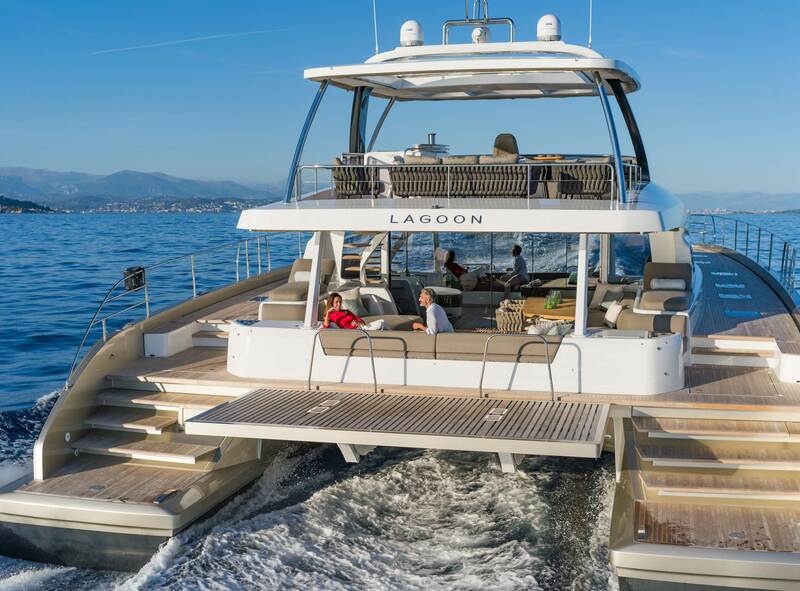 We are official dealers for new Lagoon and McConaghy Catamarans,both sail and power, and we have a large selection of pre-owned multihulls to choose from. To find out more about how a multihull yacht could work for you, contact our Multihull sales team.